As a community-oriented and focused business, we try to celebrate different types of community members that make a difference in the world. With Remembrance Day just around the corner, we think it’s especially important to celebrate veterans! We’d like to extend our sincerest thanks to all veterans and invite vets to take advantage of our Hero Day promotion. Hero Day is every Wednesday at any Continental branch where current military personnel, first responders, nurses, doctors, and of course, veterans get exclusive rates on all currency exchange, no fees on cash transactions, as well as discounts on money transfers, wires, and foreign drafts. 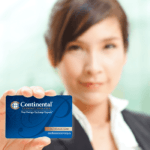 Continental is proud to always offer the best rates guaranteed with safe, secure, efficient, and friendly customer service. To say thank you to the heroes of our community, and veterans especially around Remembrance Day, and throughout the year! If you happen to find a better rate somewhere else in our local area (that we can verify), we’ll beat it! Learn more about our Hero Day discounts for veterans.